A lot of exciting things have happened at Gladstone's Library over the last few years and it is the ongoing support of our many Friends that has made much of this possible. 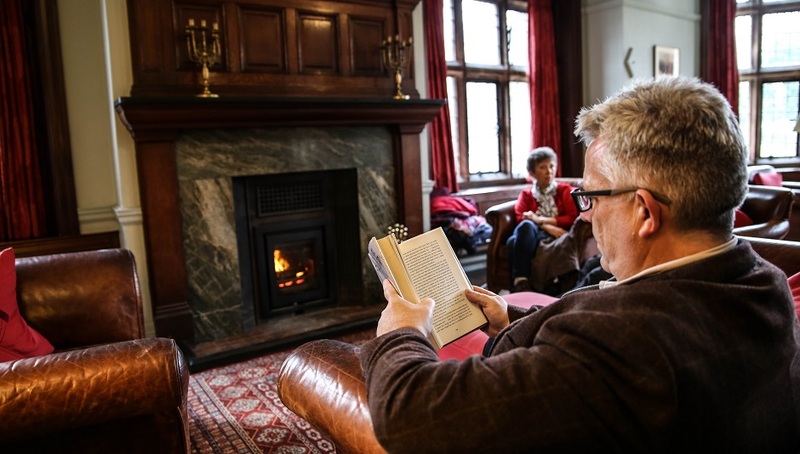 We are attracting more people than ever before due largely to the broadening of our annual programme of events and the introduction of our Writers-in-Residence scheme and literary festivals. We have exciting plans for new collaborations with universities in theology, history, politics and cultural studies and remain committed to engaging with and nurturing understanding of Islam. We believe that the Library has an important role to play in addressing some of the most pressing issues facing contemporary society (as Gladstone would have wished) and want to ensure that Gladstone's wonderful legacy continues to be accessible to as many people as possible. If you have benefitted from Gladstone's Library and want us to be able to offer its unique resources to future generations, please consider becoming a Friend by making a regular contribution (monthly, quarterly or annual) of whatever amount is appropriate for you. Money that we receive from Friends helps us meet our day-to-day running costs - it is not for special projects or any 'extras' - it is purely and simply to help us keep going. A bank mandate is included in our Friends leaflet but if you prefer to set up a payment by another method (e.g. internet banking), please do so. All we would ask is that you advise us of the date of your first payment (must be a minimum of three weeks in advance) and the amount and frequency of subsequent payments. You are, of course, welcome to make a donation by cheque or credit/debit card. Cheques should be made payable to 'Gladstone's Library'. Download our Friends leaflet for full details of how to sign up! Please click here if you wish to make an online donation to the Library using your credit or debit card. If you would like further information, please email Elizabeth Newmarch. New Friends are encouraged to give as much or as little as you can afford. Please be aware that to cover admin costs, we cannot process payments of less than £1 per month. Please note that there is no access to the Reading Rooms for Friends unless you are also a Reader or have joined our ReaderPLUS programme.